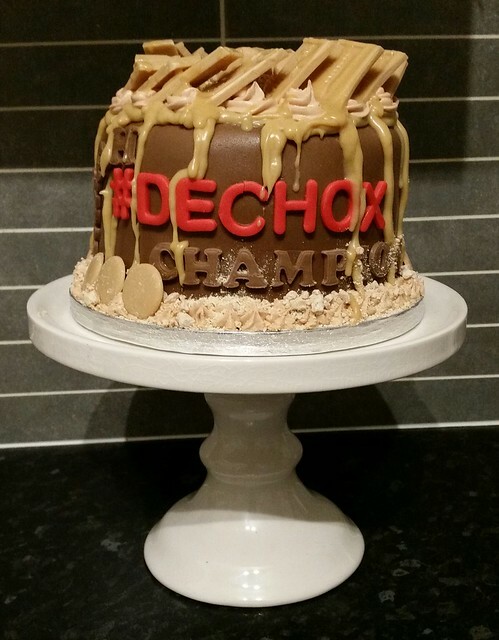 Made for a DECHOX champion! Every year my family and I indulge in a little fundraising. 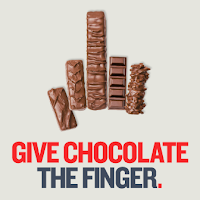 Previously, I have undertaken the DECHOX for the British Heart Foundation challenge, this is one of the charities that is very close to my 💖 - if you pardon the pun. This year was different. I was not able to participate, simply because I have gone right off chocolate and related products. So I supported by good friend, Sarah, with hers. For the month of March, Dechoxers abstain from all chocolate related products, which even includes the sprinkles on the cappuccino! 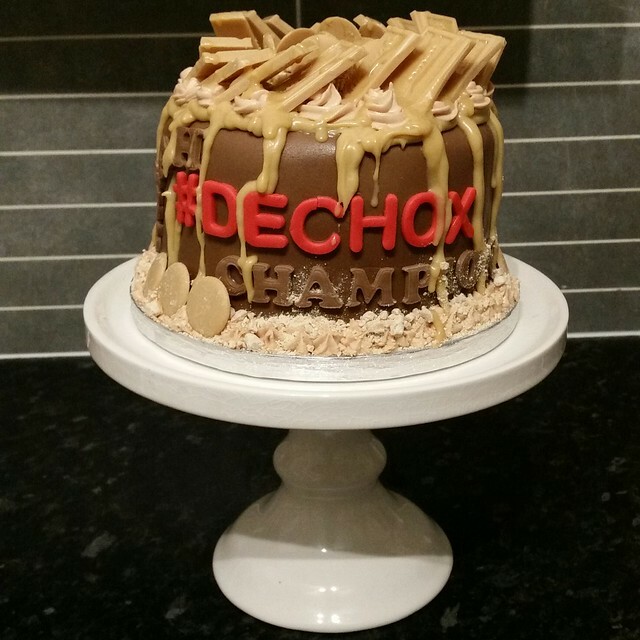 As a post DECHOX "well done prize" I made Sarah a cake laced with Caramac, as she 'hinted' how much she liked Caramac. For the sponge, I added caramel extract / flavouring simply because cocoa is too overpowering and I wasn't able to find a similar caramel product. For the buttercream, I added the caramel flavouring as well as some chocolate coloured food colour paste. Note: Caramac is not as "solid" as chocolate and dark chocolate, you may need to adjust your mix by adding a little more Caramac into the ratio or slightly less cream. The fondant is a blend of chocolate flavoured and white chocolate flavoured fondant. The same ganache as I used to sandwhich the sponges together was used to drizzle over the top and sides of the cake and the Caramac butter icing was piped around the top. Then topped off, once more, with Caramac pieces. So, whilst I disappointed that I was unable to participate in 2017, I'd like to encourage you all to support the British Heart Foundation and Sarah by either donating directly to the BHF here, or by using Sarah's JustGiving page.